Public service was an ever-present ideal in Jessica DeLoureiro’s upbringing. The daughter of public schoolteachers who had emigrated from Portugal, DeLoureiro’s ambition was always to help others. Considering her own family’s immigration story and having studied Latin American history and the migrant experience, she went to law school thinking she would be an immigration attorney. An internship with Center for Children’s Advocacy’s Medical-Legal Partnership Project in Hartford, Connecticut changed her mind. The opportunity to work with medical professionals and social workers, sharing expertise across disciplines to help children and families, opened her eyes to the broader impact legal aid could have on the health of individuals, families, and communities. 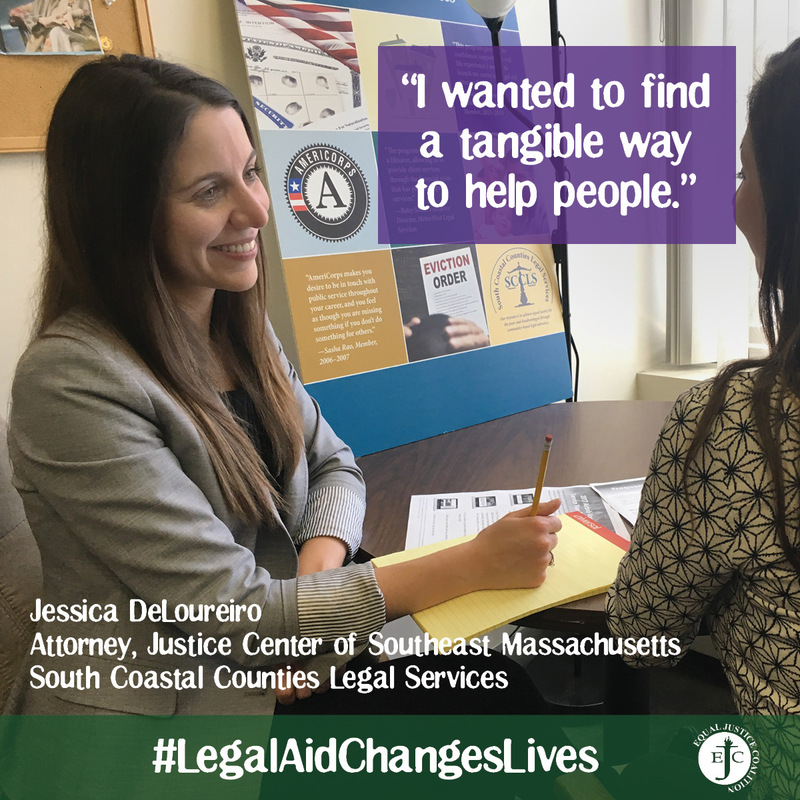 After finishing law school, DeLoureiro found another program that changed her life: AmeriCorps Legal Advocates of Massachusetts. 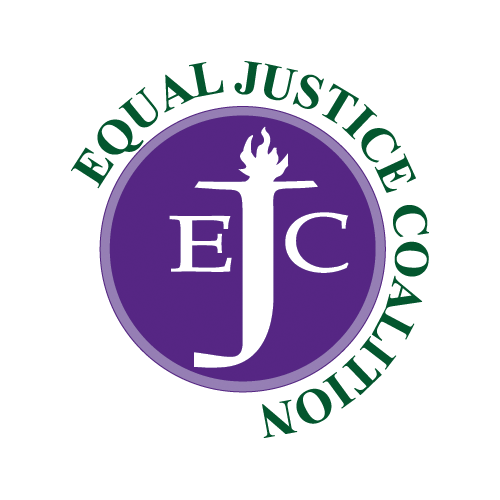 ALA-MA, then known as Massachusetts Legal Assistance for Self-Sufficiency Program, is a project of South Coastal Counties Legal Services and is funded through a federal AmeriCorps grant. ALA-MA places college and law school graduates in legal aid organizations around the Commonwealth to provide assistance to low-income people in civil cases. The program provides supervision and training for advocates, who get hands-on experience in poverty law and are exposed to a wide range of legal activities and community outreach. DeLoureiro describes her service with ALA-MA as an invaluable experience that allowed her to be mentored by experienced attorneys, gain valuable professional experience, and improve her work on behalf of clients. ALA-MA proved to be the perfect introduction into her career as a legal aid attorney; she is now a staff attorney in SCCLS’ medical-legal partnership, based in Brockton at SCCLS’ subsidiary The Justice Center of Southeast Massachusetts. DeLoureiro works on cases related to domestic violence and mental and physical health. Bringing her experience full circle, she also has supervised AmeriCorps members for the past two years, serving as a mentor to future legal aid attorneys.